NSA spied on World of Warcraft, Xbox Live, Second Life, because terrorism. 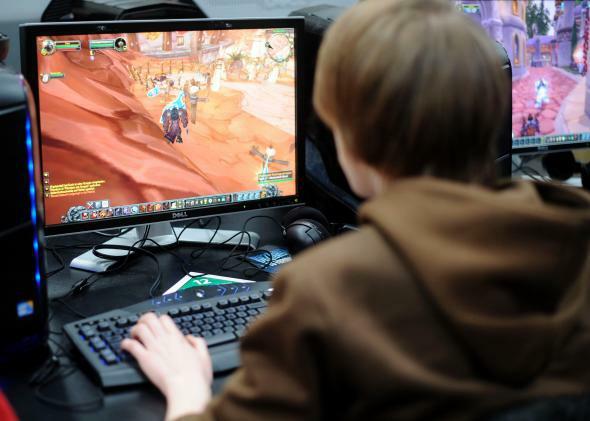 A kid who may or may not be a terrorist plays World of Warcraft suspiciously. In Joseph Heller’s absurdist war novel Catch-22, a pair of military Criminal Investigation Division officers covertly infiltrate an Army hospital to try to figure out who’s been signing the name Washington Irving on censored letters from the troops to loved ones back home. Among a series of blunders, one CID man comes to suspect the second CID man of the crime. They never do find the real culprit, but at least they get to spend part of the World War II lounging around the hospital instead of out in the line of fire. But the documents contain no indication that the surveillance ever foiled any terrorist plots, nor is there any clear evidence that terror groups were using the virtual communities to communicate as the intelligence agencies predicted. One problem the paper’s unnamed author and others in the agency faced in making their case—and avoiding suspicion that their goal was merely to play computer games at work without getting fired—was the difficulty of proving terrorists were even thinking about using games to communicate. A 2007 invitation to a secret internal briefing noted “terrorists use online games—but perhaps not for their amusement. They are suspected of using them to communicate secretly and to transfer funds.” But the agencies had no evidence to support their suspicions. Being an NSA agent sounds fun, no? Want to spend all day playing video games? Just convince your superiors that terrorists play video games too—perhaps not for their amusement! Want to take a trip to Hawaii? Terrorists take trips to Hawaii—perhaps not for their amusement! According to the minutes of a January 2009 meeting, GCHQ’s “network gaming exploitation team” had identified engineers, embassy drivers, scientists and other foreign intelligence operatives to be World of Warcraft players—potential targets for recruitment as agents. That sounds like a double win, since those newly recruited agents would come with all the World of Warcraft experience necessary to further beef up the agency’s World of Warcraft surveillance efforts. But that apparently wasn’t enough: The government also handed out multi-million-dollar contracts to corporations like SAIC and Lockheed Martin for “research projects” linked to World of Warcraft and other online games. Fun fact: In 2007, a Second Life executive made a pitch to U.S. intelligence agencies about the potential for government spies to use online games “to understand the motivation, context and consequent behaviors of non-Americans through observation, without leaving U.S. soil.” That Second Life executive was a former Navy officer named Cory Ondrejka who had previously worked at the NSA. Ondrejka no longer works at Second Life, the Times notes—he’s now director of mobile engineering at Facebook.